You have realized that your life is not that interesting anymore? After long thinking, you have decided that moving to the other country would be the change you need. But what about moving to the other continent? People these days often choose South America as their new home. But why are they relocating to South America? And what can they expect once they get there? In this article, you can find info on what to expect there. Why do people make the choice of relocating to South America? South America is a very interesting continent with a lot of different countries and cultures. There you can find something for everyone’s taste. If you like enjoying the nature and calm life, South America is perfect for you. There are some animal species that you can see only there. The most interesting among them are definitely Capybara (largest living rodent in the world), and the famous Galapagos Tortoise. On the other hand, there are huge cities, such as Rio de Janeiro and Buenos Aires, where the party never ends. And not to mention the weather. Those are the reasons why two of the South America countries are among the favorite foreign countries for Japanese people. How to move to South America? Once you choose the right country for you, you should start planning your move. The first thing you need to do is to hire international movers Japan. They will take care of your relocation to South America. All you need to do is to pack, and they will handle the rest, such as international freight forwarding. Even before you hire movers, check if there are visa requirements for that country. Every country has its own rules and regulations. Some of them let you enter their country without anything. But some of them require you to have the right documents. So before you even consider moving to South America, check what is the easiest place to go to. You can find all the information on the websites of governments of each country. 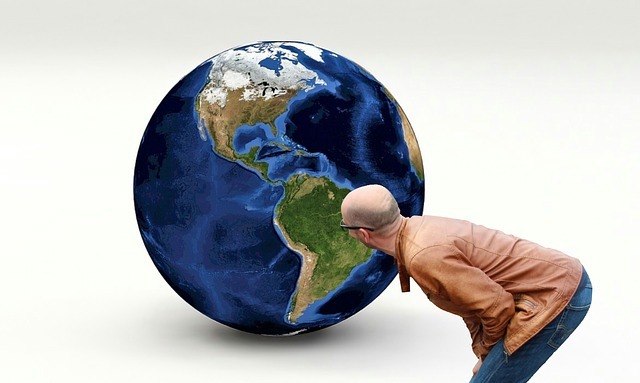 How to make sure your relocation to South America goes smoothly? You can never exactly know what will happen, but it is good to be prepared. There are some things you can do to make your new life easier. Since we live in the 21st century, you can find all the information you need on the Internet. So before you hire moving service Japan, investigate your new country first. Look for the basic things you should know about a country, such as its size, language, ethnicity. The culture in South America is pretty different than in Japan, so you should learn about their habits and customs. Also, a good thing is to find the list of things you can and mustn’t do in the country. Some of those things may seem silly to you, but you can offend your new neighbors if you don’t respect that. 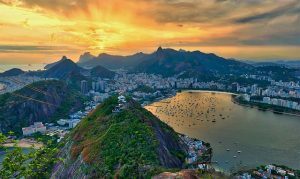 Before your South America relocation, you should know which language is spoken in the country you are going to. The two main languages are Spanish and Portuguese. 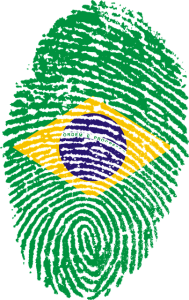 As you probably already know, Portuguese is an official language only in Brazil. The rest of South American countries use mostly Spanish. In any case, it is a good idea to take some language classes before you move. You don’t have to be fluent in it, just to know some basics. And you will learn the language much better after you start living there. Getting used to the other culture can be a very long and difficult process. Especially if you are moving from Japan, whose culture is very rich. Finding a local who can show you around and help you with everyday tasks can be really useful. Going with him you can also meet a lot of your new neighbors without worrying they will not understand you. And when you start taking your own steps, you will get a very good friend. Although people in South America are usually friendly to the newcomers, it is still good to look for the best neighborhood for you. Check if there are Japanese communities in the country you are moving to. Those people have already been through that situation and they can help. Also, there might be some Japanese restaurants or cultural venues in that area. And who doesn’t get homesick once in a while? Keep in mind that life after relocating to South America will not be the same. Simply, the lifestyle is different than in Japan. A lot of things will probably be much slower than you are used to. But, give it some time. Soon you will act the same way. You wouldn’t like your new neighbors to assume that you eat sushi every day and that you must love manga, anime, and cosplay. Same way you should not expect all Latin Americans to be the same. You are a person who moved to South America from a different continent. Therefore, you should expect that your new neighbors and co-workers will not accept you immediately. Give them some time. Once they accept you, they will help you with everything you need. Don’t try to be the one who always knows everything. You are in a new country, and there is a possibility that locals know some stuff much better than you do. And that’s OK, they have been living there for a long time. Don’t be afraid to ask anything. Keep in mind that South America is not the same as Japan. Some things can be pretty annoying since you didn’t experience them in your homeland. But, South America is your home now, and you should try to fit in. Be happy when you walk outside the house and see the sun all the time. Enjoy endless beaches, beautiful nature, watching rare animals. If you prepare yourself the right way, relocating to South America will be easy and joyful. Don’t worry about anything. Just prepare for your move correctly using our international moving tips and this list, and you will be just fine.